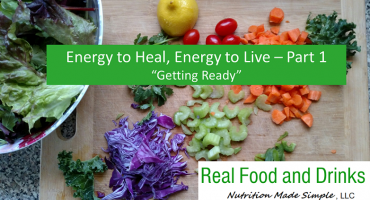 Real food is a major contribution to helping you reach your health goals. Yet, even though real food is a major part, there are many additional tools that one should apply to create a life full of energy and enjoyment. The ‘Real Food and Drinks’ School provides you with multiple tools you can use…..leading you to live life to the fullest. YOU CAN BREAK FREE FROM ALL YOUR SYMPTOMS TOO! Yep, that’s right. I used to suffer from all those symptoms that are listed above. I first noticed body aches and joint pain at the onset of my third pregnancy. I just figured it was part of being pregnant “for the third time”. But towards the end of my pregnancy I could barely walk up the stairs to our second floor. I was only 31 years old (young)! Oh, and I almost forgot to mention the back pain. So, some time went by as it normally does. But there wasn’t anything normal about it. By the time I was 34 years old I began suffering from brain fog. Let me tell you, anyone who has ever experienced chronic brain fog will tell you that it’s debilitating! I felt like I had no energy for most normal activities. I had trouble thinking and making decisions. I felt dizzy often and tired all the time. EVERY DAY AND EVERY MOMENT! Back in the day (2004) when I would search the internet for “brain fog” – I hardly found anything! But I did come across one doctor that tested for metals and it just so happened that I had (very) high amounts of lead. To treat that condition I underwent Heavy Metal Chelation. It worked for a while – yes, the brain fog was lifted. But knowing what I now know, I would have chosen a different option. The brain fog did come back, so I determined that it must be something I was eating. 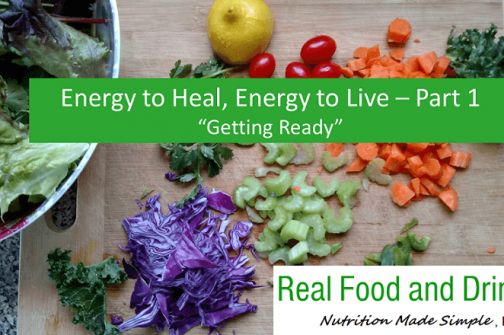 This is where my Journey to Holistic Nutrition and Lifestyle began. I had no idea of the amazing journey that was ahead of me. I learned new ways of eating that allowed me to control the brain fog! Yay! The body aches and joint pains were gone. I learned to how and why I needed to create a new lifestyle…so I did. Ahh! It has really been AMAZING! I had overcome almost all of my symptoms. Yes, the one that stumped me for the longest was IBS. I hadn’t really recognized it due to all the other symptoms. But once they were gone, for five additional (5+) years I went to doctors having tests of all sorts. I had MRIs, ultrasounds, blood tests and finally an endoscopy and colonoscopy! All revealing nothing. I thank God for that, but what was going on. The pain, gas and bloating was REAL! I was miserable once again from eating food, but now I was eating a diet that any dietitian, nutritionist of health food fanatic would consider ideal. Yet, no one could figure it out. Ultimate frustration! In the summer of 2016 I discovered a specific way of eating to deal with the IBS. For the most part, it worked. There were a some occasions that it didn’t and I couldn’t figure out why. Yet, I was determined. So in the midst of it all I decided to study Holistic Nutrition for myself. To get some first-hand knowledge. To seek as much understanding as I could in order to heal myself. I was determined…and desperate. I completed my studies in the fall of 2017 and just continued to learn all that I could through self-study and being my own “guinea pig”. I continued to focus on Holistic methods of healing which involve more than what I was eating or what supplements I was taking. The study of Holistic methods opened up a “whole new world” for me to explore. I began to study “how” I was living…my lifestyle. I had to self-inspect my lifestyle and there was one major aspect of it that needed changing. One major aspect of it that was fueling the IBS. You have probably heard of this culprit before. It was undoubtedly STRESS! So you think you read all this just to arrive at something you’ve already known. Well, if you don’t know how to deal with STRESS you will feel frustrated. Because everyone I encountered or read about who had received healing in their body had to deal with STRESS! Please don’t run away from this truth. There are some simple ways you can do to change how you deal with STRESS! I can share with you all of the methods that I have learned. There is healing for you, just like I was able to heal. I am now FREE from IBS Symptoms! Hey, I didn’t want to leave you hanging on to buy my “book” (when I write one)…or have to jump through hoops to hear my solution. Well, I’m giving it to you right here. I had to deal with STRESS! You may be wondering how? This is the starting point I’ve created for you. I’ve created a FREE introduction course to the first step I took to deal with stress, get back the energy I wanted and heal my body. This may be the only step that you need. Start here. And, if you need more help, stick around so that I can share more with you. Less Body Pain – Mildred W.
Shonda helped me via eating the four food groups she recommended which I did for two weeks (my trial time), after the two weeks I noticed a change and decided to continue. I was 74 years of age in 2012 when I started and it has been 7 years now. Although my illness was different from hers my doctors have been able to take me off some of my medications. I am happy with my accomplishments. Living Healthy – Ivelisse C.
Shonda is living proof of what she has experienced this point in her life. She is an inspiration to me and she wants everyone that comes across her path to benefit from living a healthy way of life.